MANILA, Philippines — The conspiracy to oust President Duterte starting Sept. 21 fizzled out, but the plot called “Red October” is still on, the Armed Forces of the Philippines (AFP) warned over the weekend. “There will still be a plan this coming October. They call it Red October. That is the month of international celebrations for communism, Marxism and IP (indigenous peoples),” Brig. Gen. Antonio Parlade, AFP deputy chief of staff for operations, said. Parlade insisted that the previously reported Sept. 21 plan to oust Duterte was real, if not a prelude or at least aimed at destabilizing his administration. Parlade said the Sept. 21 attempt was unsuccessful, but the plan for next month called “Red October” remains. He also said that based on recovered documents, the opposition coalition Tindig Pilipinas almost forged an alliance with communist groups spearheading the Sept. 21 plot, but withdrew from it after realizing that communist leaders were behind the move. Robredo, the LP, Trillanes and Magdalo have all denied involvement in any plot to oust Duterte. Trillanes and Magdalo said they could not conspire with communist rebels who continue to kill soldiers. 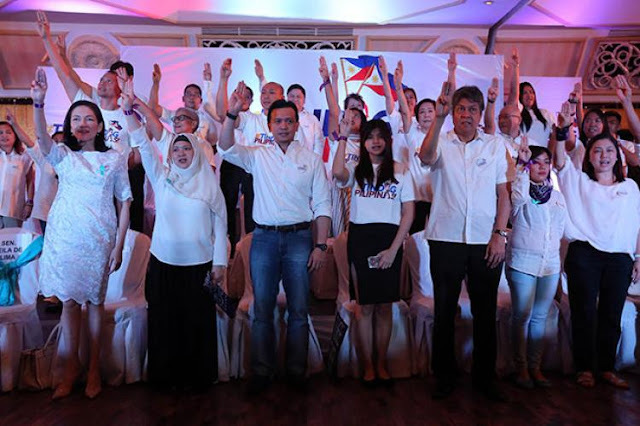 “That’s the good result, Tindig Pilipinas withdrew from the alliance,” he claimed, noting that the group opted out at the last minute on Sept. 19 or 20. He pointed out that Tindig Pilipinas almost had an alliance with communist leaders as they have common issues against the Duterte administration. Parlade said the group had no objections to rallies but was against moves to sabotage the economy and the nation and, ultimately, topple the government.